Even with all the debates and discussions taking place across the globe, the plain truth remains that the planet earth still holds enough fossil fuel that can survive the global energy demand for the next 50 years. In the present scenario, every other industry is moving towards a better technological future and the oil and gas sector is no exception. Against the backdrop of volatile oil prices, it is important to cut down the cost of production. The larger goal is to attain efficiency in operations. An industry that operates on such a titanic scale can’t afford such high levels of uncertainty. This is where the IT sector comes into the picture! Digital Oil Field (DOF) has mesmerized the oil and gas industry for over a decade. It is perceived as a concept whose prime objective is to maximize oilfield recovery, eliminate non-productive time, and enhance revenues through a well-integrated deployment of workflows. A fine blend of advanced Information Technology, engineering expertise and business process management is at play when we talk about Digital Oilfield. The tasks are streamlined for a smooth flow of operations. The relevance of anything is determined by the solution it offers to the challenges present. The oil and gas industry, an ever-evolving landscape, is undoubtedly thick with challenges and there are huge risks involved. Let’s have a look! Proved Reserves (1P) with a probability of 90% recoverable resources. Proved and Possible (2P) with a probability of 50% recoverable resources. Probable and Possible (3P) with a probability of 10% recoverable resources. All these divisions are based on probability and none of the risks which are associated have been analysed. A huge amount of financial loss is anticipated if any of the reserves does not produce as per the expectations. Movement of oil always affects the production process. This can happen during the drilling process due to loss of initial pressure during the early stages of production which will, in turn, reduce the recoverable resources. This is one the most difficult aspect of management. Assets (onshore and offshore rigs, platforms, drilling equipment, ROVs etc) cost billions of dollars to the company and needs to be managed in a proper way. Sometimes uncontrivable events such as reduced production, changing geopolitics and so on lead to halting of these assets which are nothing but financial loss. It is very difficult to implement a good management system as it requires efficient manpower and capital. No problem exists in isolation. There’s always a solution! Let’s explore what’s on the table. A single place where engineers, geologists, geophysicist can all work together for successful field operations would be a great start. Sound technical decisions can be made to increase the production, eliminate uncertainty and consequently, reducing the cost of operations and risks involved. During the whole process of exploration and production, from bits to petabytes of data are produced, and a thorough analysis of this data is required to reduce uncertainty. Uncertainty is nothing but the glitches and anomalies present in the data and these can be recognised by proper quantitative assessment, a collection of quality data, acquiring more information etc. This is where DOF comes into the picture as it increases the chances of collection improved data because as said earlier it uses better technology and better communication. Evaluation and analysis of data is done simultaneously in order to acquire relevant information. Integration of Internet of Things with DOF can also increase the pace of collaboration which is already implemented by many industries to reduce various risks. Bernard Marr, the Big Data guru, said that a survey conducted by Accenture and Microsoft revealed that 85% to 90% respondents think that increasing their analytical and Internet of things capability can add significant value to their business. It’s not difficult for us to conclude that implementing DOF will bring about a massive reduction of money and manpower which is wasted due to lack of innovative ideas. Machine to Machine learning is a concept which involves communication and sharing of information between machines. This communication does not require any human help and the machines are able to take their own decisions on the basis of data they have received. Generally, every oil and gas company has personnel who are highly trained in monitoring the life and health of an asset which is always a slow and inefficient process. But now, with the introduction of multi metering gauges and M2M, these machines are self-sufficient to provide the signal before an unfortunate event occurs. 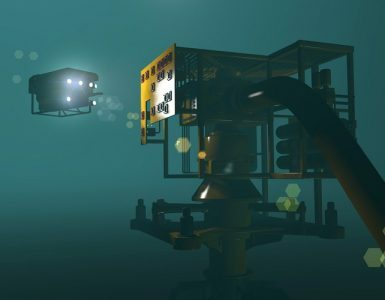 Smart Drilling – With the use of powerful CPUs, wireless infrastructure and various sensors which can measure temperature, the depth of down-hole has maximized contact with the reservoir, which in turn has increased the production by millions of barrels. Integrated Bop – BOP is one the most important safety equipment for the upstream sector. BOP is operated manually but with time and development, it can be integrated on an established DOF. It can be operated from the remote area by the operator in various hazardous situations such as fire, electrical and hydraulic breakdown on the rig. How will the global oil and gas companies benefit from DOF? Pre-defined Data and History Matching Pre-defined data of any reservoir means the data collected during exploration which can be used to determine the possible reserves by other companies or the same company later in future. 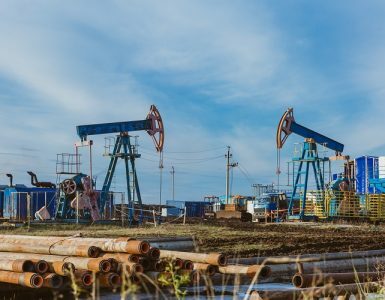 With increasing cost of extraction and depleting natural resources, it is important to eliminate all uncertainties associated with a proved reserves and dry wells. 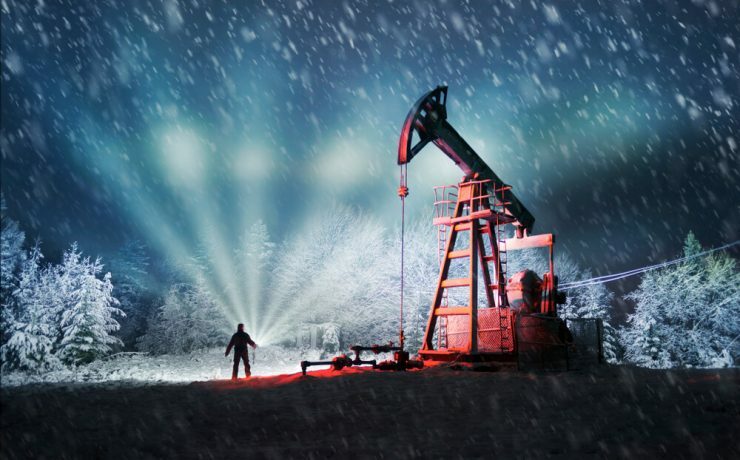 Since the cost of exploratory well or wildcat wells are high and the process is time-consuming, with the help of pre-defined data and history matching of any well around the world, the uncertainties are bound to reduce. Only then it will be possible to predict the size of the reservoir and actual oil in place by using these low-frequency seismic data. Within DOF the history matching and pre-defined data storage will increase the ability to monitor, store and interpret large volumes of data which can be uploaded to online servers, which again can be accessed from any registered desktop. Comparing these thousands of data reading of already drilled, current drilling and even abundant reserves will aid in decision making as comparative analysis of data is very much cost effective than drilling a well based on prediction from single data. Better view of the Oilfields Video monitoring: Monitoring the entire field by CCTV camera and drones has reduced risks of the Monkey-men and it also presents the entire scenario of all the on-going work nearby the rig. Even in the midstream industry, the inspection of pipeline and any illegal activities that might occur nearby the pipeline could easily be avoided. These are the surface applications of video monitoring. 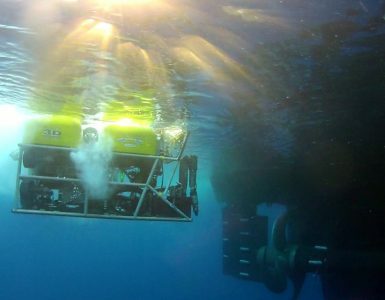 It will help during subsurface activities as well like while installing a casing or Christmas tree and during the process of fishing while drilling, video monitoring gives the complete overview over a single screen. The main purpose is to optimize the ongoing drilling and production projects. Central control room: A single CWE where data can be viewed over multiple screens along with the professional members to observe and make relative decisions regarding the entire processes going on. It can also be called a central hub where the entire oil field is connected. This CWE includes members from all the sectors of the industry along with legal and management team. They analyze and examine the status of their assets with integral studies for future changes. Despite the numerous challenges present in the successful deployment of DOF, the future looks bright and promising. A sound IT infrastructure can help and possibly improve efficiency. With DOF, oil and gas firms across the globe will be able to strategize better and increase operational efficiency. The goal is to separate the wheat from the chaff (in terms of separating useful data from useless information). The digital revolution is here. Let’s make the most of it!